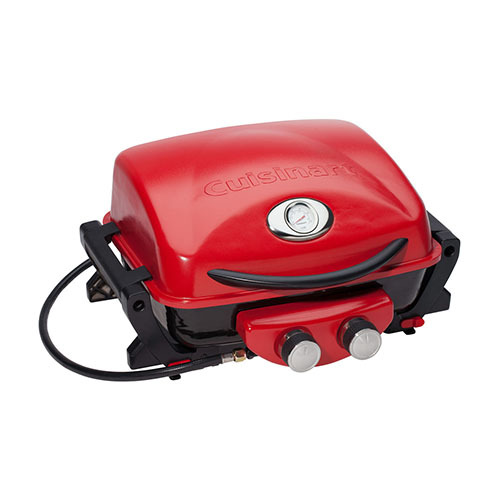 The Cuisinart CGG-522 is a two burner gas grill that takes portable outdoor grills to the next level. With 14000 BTUs of power, this grill will never be lacking in temperature. The two independent burners are easily controlled by the knobs on the front of the grill. 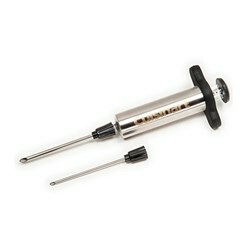 The Dual Blaze grill is built specifically for 20lb propane tanks and does not require any additional accessories to connect to a 20lb tank. 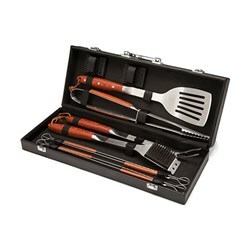 To aid in the grilling experience, the cast iron cooking grate provides high quality and durability and always know the temperature with the precision, integrated grilling thermometer. 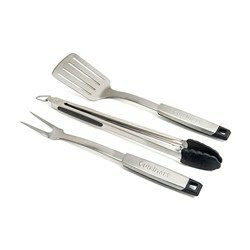 When not in use, the grill’s legs can be folded to lock the grill and the handle can be used to easily carry the grill from home to tailgate. 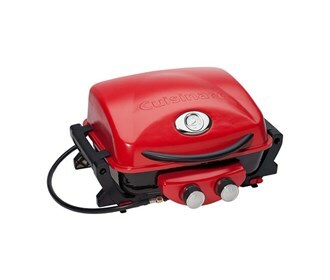 The Cuisinart 18 Inch Two Burner Gas Grill has many exciting features for users of all types. 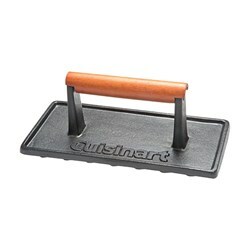 See the Cuisinart 18 Inch Two Burner Gas Grill gallery images above for more product views. 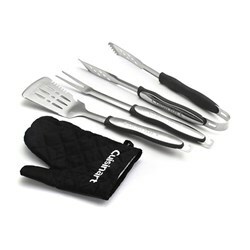 FactoryOutletStore stocks a full line of accessories like Cuisinart 10-Piece Premium Grilling Set, Cuisinart 3-Piece Grilling Tool Set with Grill Glove, and Cuisinart 3-Piece Professional Grill Tool Set for the Cuisinart 18 Inch Two Burner Gas Grill. 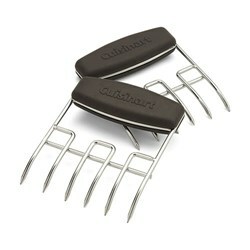 The Cuisinart 18 Inch Two Burner Gas Grill is sold as a Brand New Unopened Item.